Each journal entry in monkkee has a date and a time. Whenever you create a new entry, the systems inserts the current date and time. Thereafter, the timestamp will not change anymore even if you modify the entry. That’s the behaviour most users would expect. But what if you’re looking to add entries to the past or future? For example, you may want to transfer some notes from another diary to monkkee and retain the dates. Or maybe you would like to write one entry per day. If you miss a day, you’ll want to be able to backdate your posts. Missed a day? No problem! monkkee journal entries can be backdated and also postdated. Since people ask about this feature from time to time, here’s a quick step-by-step guide to show you how it works. Whenever you write a new entry, the current date is set by default (29 August, 4:12 PM in this example). You can see the date in the overview and also in the Edit mode. Next to the date, you’ll see a link called “Change date/time” (or “Change” in the mobile view). When clicking this link, a calendar pops up. Now you can select the desired date. The time can be changed by text input. Select a date from the pop-up calendar. The time must be typed in manually in the correct format. Click OK to save the new time and date. 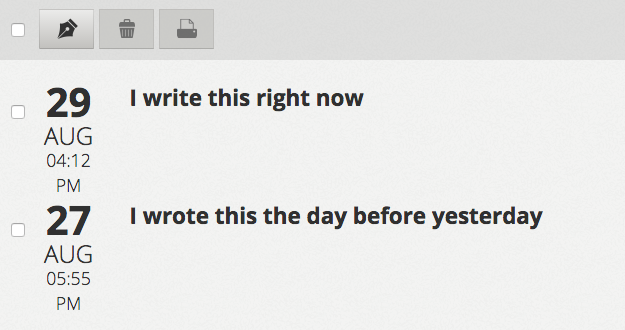 monkkee also allows you to search journal entries by date. On the right-hand side of your overview page (mobile view: bottom), you’ll see a calendar with a text box. Click inside the text box to open the calendar and navigate to the desired year, month and day. 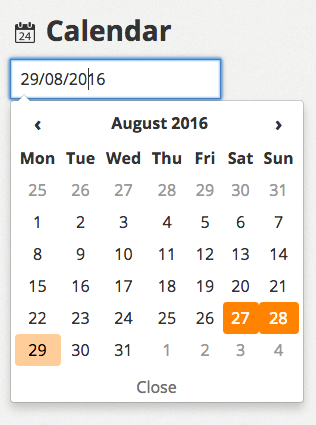 All days on which you have written an entry are highlighted in orange. The current date is highlighted in pale orange. 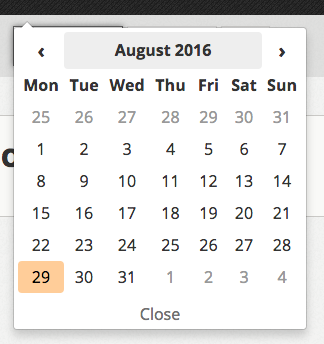 If you click on one of the orange days, all the entries that were written on this day will be displayed. To end the search and return to the normal view, click “reset”. Why do you change the date? I have already provided two examples of situations where it is necessary to change the date. What are your reasons for backdating or postdating journal entries? We would be glad to read your comments! One of the reasons why I came to monkkee, love this feature!